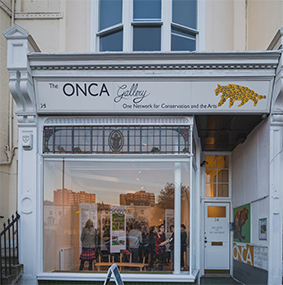 I am closely connected with Onca Gallery in Brighton and I often mention the organisation in my blog posts. Onca is an unusual contemporary art space supported by the Arts Council focussing on conservation and the environment. ONCA says the following about themselves: ‘Our mission is to cultivate environmental and human health through the arts.